McMichael Yacht Brokers has announced that Kevin Dailey and Lincoln White have joined their brokerage team. Dailey will be working out of the company’s Mamaroneck, NY office, and White will be working out of the new McMichael Essex office, located at Essex Boat Works, 9 Ferry Street, Essex, CT.
Kevin Dailey began his 35 years in the marine industry as a sailmaker, and he managed the North Sails Long Island loft. 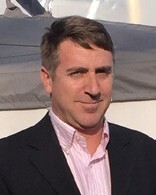 As a broker with Nautor’s Swan New York, he spearheaded the Swan 42 project between Nautor and the New York Yacht Club, becoming the top Swan 42 salesman worldwide. He comes to McMichael after many years as a yacht and charter broker with Sparkman & Stephens. 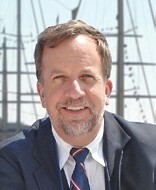 Lincoln White has 25 years experience running yacht club waterfront programs and coaching at sailing schools. He was the Director of Offshore Programs at the U.S. Coast Guard Academy, the Director of Northeast Operations for Offshore Sailing School, and most recently the Waterfront and Sailing Director at Larchmont Yacht Club. He has sailed with his clients in many international offshore regattas, weeknight races and youth competitions, and is currently active in the J/70 Class. McMichael Yacht Brokers is celebrating its 80th anniversary in the yacht brokerage and service industry. McMichael has a team of seven brokers operating out of offices in Mamaroneck, NY, Newport, RI, and a new sales and service operation in Essex, CT opening early this year. The company owns and operates two yards in Mamaroneck, offering full service for yachts up to 50 feet, and has partnerships with yards around the country to provide service for McMichael customers. In addition to brokerage sales, McMichael is a dealer for J Boats, MJM Yachts, Hanse Yachts (2014 Western Hemisphere Brokerage-of-the-Year), C&C Yachts, Alerion Yachts, Harbor Sailboats, EdgeWater Powerboats, and AB Inflatables. Visit mcmichaelyachtbrokers.com for more information.